These are good times for jazz in the UK. There are some excellent young musicians around, including the superb quartet led by saxophonist Camilla George who I saw this week. Their pianist Sarah Tandy, who has her own trio, was something else. As a classical pianist, she’s a former BBC Young Musician of the Year but is now getting noticed as an exciting and inventive jazz artist. In performance, she just takes off and goes you cannot predict where when it’s her turn to feature, while still maintaining the level of invention while supporting others. She has been chosen by eminent jazz critic John Fordham in the current edition of Jazzwise magazine as his musician to look out for in 2018. Ironically, this week’s CJ doesn’t contain music from any native UK artists but – in compensation – we include many excellent, pioneering musicians from the Americas. As promised last week, I trawled through my record racks and dug out some I have ignored for a while. 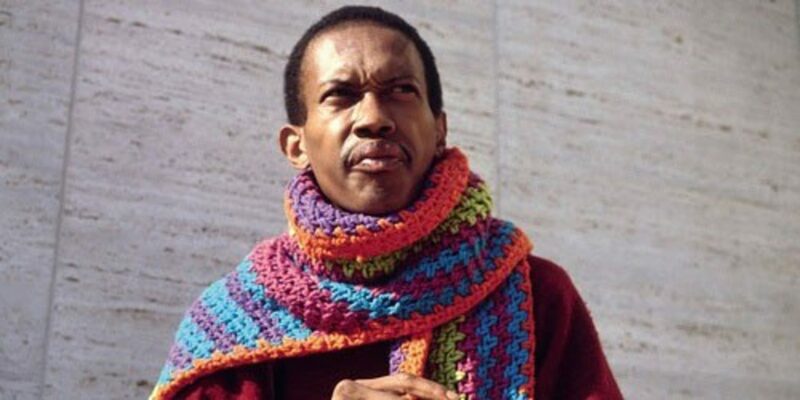 As a result, the first tune on the show is from Don Cherry – a world musician long before the term ‘world music’ was used as an understandable way to find music in record shops. This comes from the celebrated Mu albums, recorded on the Actuel/BYG label in Paris in 1969. Here Don Cherry and Ed Blackwell play as a duo with Cherry on flute and Blackwell on percussion. Cherry continued his explorations of music influenced by middle eastern, traditional African and Indian musics and between 1978-82 he recorded the three Codona albums for ECM with percussionist Nana Vasconcelos and sitar/tabla player Collin Walcott. These have now been reissued as a 3CD box set – highly recommended if you want to explore this pioneering music. Kelan Philip Cohran (08 May 1927-28 June 2017) is someone whose death this year we should have acknowledged earlier on the show. His role playing mainly trumpet with the Sun Ra Arkestra from 1969-71 provided him with essential Cosmic Jazz credentials. This week he is featured playing with the Hypnotic Brass Ensemble, eight of whose nine members are his sons. Look out for their new album Book of Sound just released on UK Honest Jon’s label. Reggae in jazz is not new. When record producer Coxsone Dodd was choosing musicians in Kingston for what became The Skatalites he looked for jazz musicians and chose Don Drummond, Roland Alphonso and Tommy McCook. Cedric im Brooks was another Jamaican musician brought up on jazz whom we have featured here on CJ. It was great, however, to play a 2017 released tune with a reggae-meets-jazz feel to it. Trumpeter Keyon Harrold supplied this with the title tune of his new album The Mugician. There are CJ-friendly musicians on the album including, on this powerful, forceful tune, James Poyser and Marcus Strickland. Marcus Strickland also appears on the next selection which is complex and full of surprises. It came from the new 2017 Blue Note All Stars who comprise Lionel Loueke, Ambrose Akinmusire, Kendrick Scott, Robert Glasper, Derrick Hodge and Strickland on saxes. Our choice from the album featured two masters from an ealier generation – Wayne Shorter and Herbie Hancock – in a version of Shorter’s tune Masqualero, first heard on the Miles Davis album Sorcerer in 1967. To end the show we featured a long track from William Parker released in 2002 with soul/hip hop vocals from Leena Conquest, who lists many causes including Native Americans to Civil Rights leaders. I have tried to track down this album for some time but have just managed to do so via the superb Soundclash Records in Norwich. I will play more. Finally, a shout out to another excellent record shop, and one selling exclusively vinyl – Bury St Edmunds’ excellent Vinyl Hunter. Along with my MC buddy Derek, this week Cosmic Jazz took to the streets of Bury and presented a set of Caribbean music courtesy of Vinyl Hunter. It’s very encouraging to see a small market town the size of Bury St. Edmunds supporting analogue music and, in its dual role of cafe and record store, the place was heaving yesterday. Business is good too – Vinyl Hunter have recently opened a second store in Elmstead, Essex. It’s interesting that the current vinyl revival is not experiencing the much predicted slowdown. The fascination with the format has been taken up by advertising agencies too – vinyl is seen as not only cool but also authentic. Here it is with a Rega Planar turntable taking centre stage in a recent Specsavers advertisement. The music is Lester Bowie’s take on The Great Pretender, the title track from his 1981 ECM album. More convincingly, this is Raphael Saadiq chillin’ out in a loft apartment to his own excellent Movin’ Down the Line (Don’t You Go).